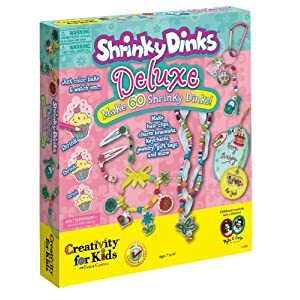 Have you guys heard of shrinky dinks? I'm sure a lot of you have. This is a trend that seems to have skipped my generation, and that I have only just discovered! You can buy kits for making these (as shown here), but as you can guess, I have no interest in buying these... I want to make my own! If I have the opportunity, I'd really like to get hold of this book! I've seen some extracts from it online and it looks super helpful. 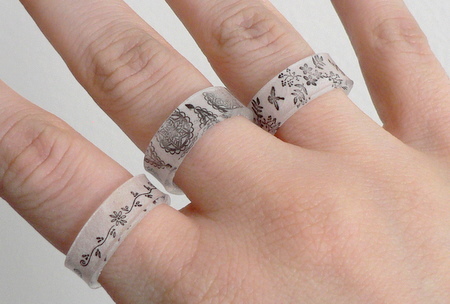 The tutorial that I find the most interesting is the twisted unicorn ring! So gorgeous! Related to this book is the following *beautiful* tutorial! Now, using proper shrink plastic is all right and fine, but I don't have much interest in starting with it! I am quite stingy when it comes to trying new crafts as I think it is silly to spend more money than you actually need to. I sometimes do, however, end up having to move onto proper products thanks to my many failed attempts :P But that's okay, I like learning with trial and error. I think that every crafter can grow from experimenting, and even if an idea doesn't work out, it may inspire ideas for a further project. 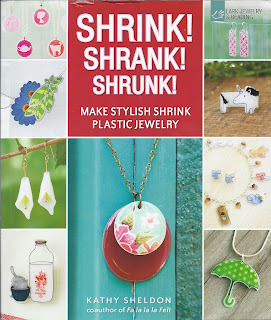 Now, let's move on to some tutorials on how to make your own shrink plastic! The following shows you how to make the plastic from simple supermarket plastic tubs. If you sand the plastic, you can use coloured pencils. Sanding the plastic prevents the pencil from smudging. I have also heard rumors of people using paints! This tutorial involves some really gorgeous robots, and also one that didn't quite work out! Okay, so now that we've got tutorials on how to make these yourself, if you're stiiiill not convinced, here's a really cool tutorial on how to make shrink buttons with shrink paper! I'm going to try this out tonight- I suppose I'll be going past the shops to get a range of food in plastic containers on my way home!